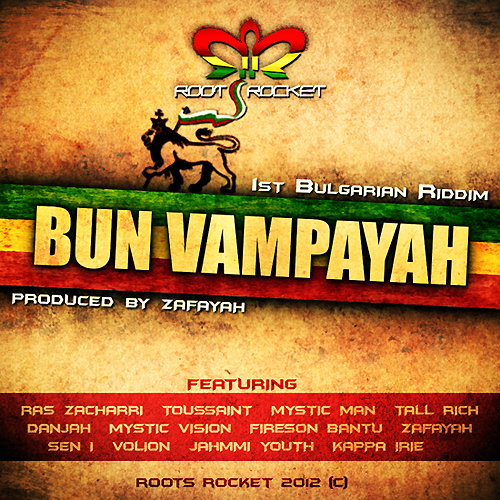 Here comes the first wave from the Scandinavian connection pon di ‘Bun Vampayah’ riddim. A tune called ‘Times of Despair’ by the Swedish reggae artist and producer Mysticman. Drums, Piano and Singing and now produces his own riddims at his Control Tower Studio in Stockholm, Sweden. Mysticman released his debut Album “The rock of my foundation” 2010 on the Rub a Dub label, produced together with Jonahgold. and is now working on his new riddim “Full of Joy” soon to be released. He also Appears as a musician on Daweh Congos Ghetto Skyline. with swedish artists like Kapten röd, General Knas, Danjah.